← Photos from the first week of February. Carrot juice... such a beautiful orange color. I’ve always wanted a juicer. I’ve imagined fresh fruit and vegetable juices in a rainbow of colors for a long time now. But I’ve never been able to make the big purchase and actually get the juicer. One reason is, I’m holding out for the really good quality masticating juicer… and those aren’t cheap! 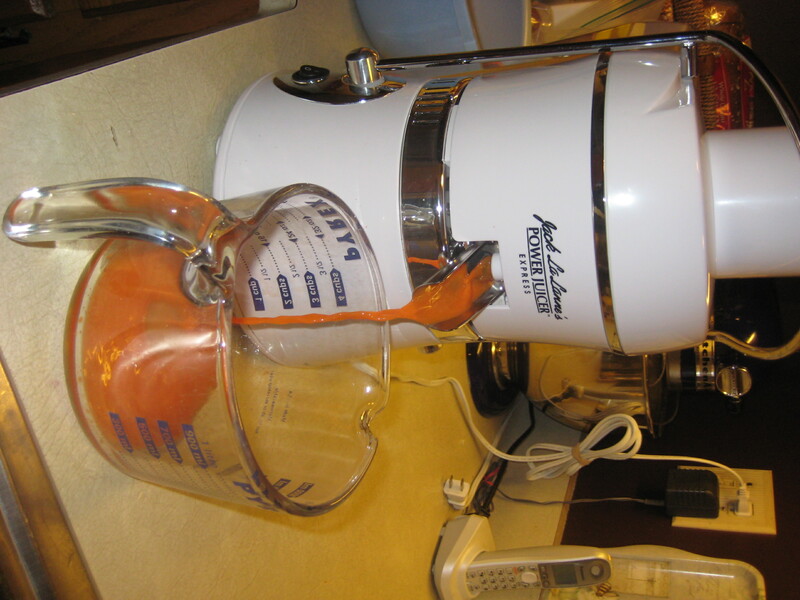 But lucky for me, my brother recently purchased a Jack LaLanne juicer. While he’s out touring the Midwest with his theater group, the juicer has been staying on my counter top and getting a ton of use. It does make me miss the garden even more though. How nice it would be to go outside and grab some mint for my carrot/beet/apple juice! Or to have grown the carrots or beets myself. For green juices I think of all the spinach and chard I’ve grown in the past and how handy it would be (and cost-effective) to use my own. February is one of those months where I wonder how our ancestors did it. How in the world did they get through the long winter without a modern produce department? Juicing requires lots of fresh veggies and fruits and while it is an awesome winter pick-me-up, it is dependent on purchasing produce that’s been shipped in from somewhere warm and sunny. The gardener in me cringes when I think of this! I hope the juicer comes to visit our house again this summer when the garden is full of fresh vegetables and herbs. It will be so satisfying to juice from my own garden. I’m going to plan to grow a few things specifically for this purpose (extra kale, more beets, more fennel). We watched the movie Fat, Sick and Nearly Dead and were inspired by Joe Cross and Phil Staples. While I’m more of a whole foods person, this documentary is well done and certainly shows what the benefits of juicing could be for some. This entry was posted in Inspiration and tagged Fat Sick and Nearly Dead, Jack Lalanne power juicer, juice recipes, juicing, juicing recipes, mean green juice, vegetable juice. Bookmark the permalink.